Des Moines University is the only private medical school in Iowa, offering graduate-level, professional degree programs in osteopathic medicine, podiatric medicine, physical therapy, physician assistant studies, biomedical sciences, anatomy, health care administration and public health. Founded in 1898, the institution offers superior academics in a collaborative environment. DMU students’ pass rate on national examinations and board certifications is consistently higher than the national average and the rates at similar institutions. Des Moines University Clinic is a multi-specialty medical clinic, affiliated with Des Moines University and conveniently located on the University’s campus at 3200 Grand Avenue in Des Moines. 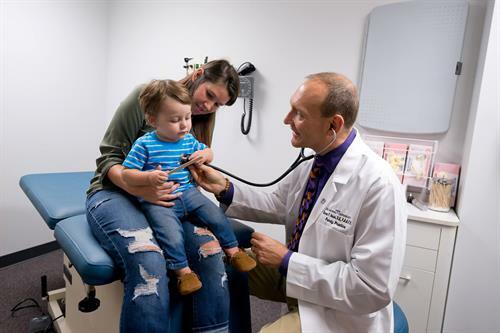 At Des Moines University Clinic, patients have access to high quality, cost-efficient care from doctors and health care providers who emphasize preventative medicine and put their patients first. At the Clinic, health care providers take a “whole person” approach to medicine – treating people, not just symptoms. You and all members of your family will benefit from the Clinic’s team of experts who stay on the leading edge of research and provide state-of-the-art medical care as they train tomorrow’s health professionals. Interested in working at Des Moines University? Check out our current openings online at http://www.dmu.edu/employment.